Elder (Sambucus Nigra) other names: Arbre de Judas, Black-Berried Alder, Black Elder, Boor Tree, Bountry, Common Elder, Ellanwood, Ellhorn, European Alder, European Black Elder, European Black Elderflower, European Elderflower, European Elder Flower, Fleur de Sureau, Fleur de Sureau Noir, Flor de Saúco, Flos Sambuci, Hautbois, Haut Bois, Sambuc, Sambucus, Sambucus Flos, Sambucus Nigra Flos, Sambucus nigra, Seuillon, Sureau Commun, Sureau Noir, Sussier, Sweet Elder. 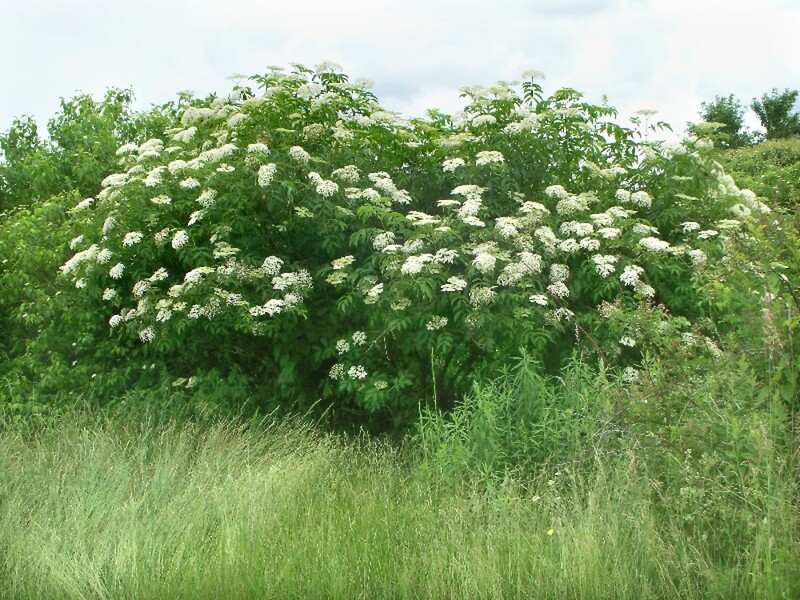 The plant called the elder is used to describe a bushy shrub like plant that can reach a few feet in height as shrub like forms normally do or it may be referring to a tree reaching up to fifty feet in height - the elderberries which are borne on both types of plants range and differ markedly in the shape and taste. The flowers are usually formed in aromatic clusters of many star-shaped and white colored flowers, which can vary from bunches with flat-topped to the globular types of arrangement. When ripened, these will mature to produce berrylike and limb sagging fruits which can range in color from stark blue to an amber, and even red to a complete black - the variation in the taste of these elderberries is also markedly different. The long and hollow stems which tend to be very straight were used by the early Native American tribes for making arrow shafts as such stems become woodier with age, such stems were particularly selected during the springtime, they were typically then left to dry with their leaves still on them to be turned into arrows. The native tribes also used the woody stems for other purposes, and they often took out the soft and poisonous pith within the stem using hot sticks, these were sometimes employed as spouts to collect maple sap and the sap of other resinous trees. Such stems were often also bored with holes and fashioned into flutes for making music. One reason, the elder is often called the "tree of music" lies in its use in this role, even though its main uses was as an herbal medication. The elder stems were also turned into animal bugles to pipe elk like sounds and some traditional native hunters still reliant on the old ways of tracking game have often used the stem to bugle elk-thus the elderberry stem whistle has often been employed to successfully lure a handsome elk buck during a hunt. The areas in which the elderberry plant is likely to grow includes very rich and moist soils, especially those soils found in heavily forested areas, the plant also grows well along the soils in rocky slopes, and often prefers soils in cool ravines which are heavy in moisture. The plant is considered a native inhabitant of both hemispheres and grows mostly in the temperate and subtropical regions of the world. The elderberry is actually a drupe which is berrylike in appearance; the elder berry consists of three to five single seeded nut - lets or stones in the fruiting body. Traditionally, eating too many berries is believed to cause digestive problems and the traditional wisdom suggest that only a few berries can be eaten raw at any one time so as to avoid disrupting the stomach. The taste of the elderberries is not remarkable and the taste is better when they are taken along with other edible berries, raw berries are not preferred by people and in general the berries are much better to eat in the dried or cooked form. The elderberries are used as a decongestant and in the treatment of some conditions which can induce the excessive accumulation of mucus within the lungs of the affected person. These include disorders such as the common asthma, problems such as bronchitis, the common cold, diseases such as influenza. In addition, phlegm production is also induced by smoking or the inhalation of second hand smoke. The elimination of such accumulated yellow or green mucus from the body is aided by drinking some fresh elderberry juice, particularly the juice of the red drupes - this herbal remedy is excellent in the removal of excess mucus in the respiratory passages. The elder grows wild in many European countries and it is a native species of the European continent. The plant grows abundantly in all kinds of wooded areas, along hedges, and also on waste or uncultivated grounds around the continent. Nowadays, many temperate regions of the world also contain wild populations of the elder; the plant is also cultivated in many areas these days. Spring time is the usual season when the cuttings of the elder are sown and the plant is propagated in areas where it is cultivated during this time. During late spring, harvesting of the flowering tops is carried out, on the other hand, autumn is the time when the elder berries are normally picked, sorted and stored or processed into different herbal preparations. Elder is used for swollen sinuses (sinusitis), colds, influenza (flu), swine flu, bronchitis, diabetes, and constipation. Elder is also used to increase urine production (as a diuretic), to increase sweating (as a diaphoretic), and to stop bleeding. 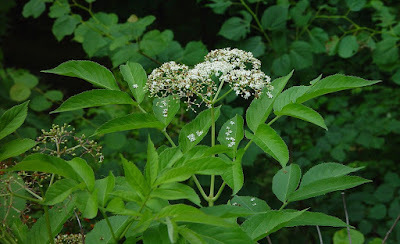 Elder is also used as a gargle and mouthwash for coughs, colds, hoarseness (laryngitis), flu, and shortness of breath. Elder is used on the skin for joint pain (rheumatism), and pain and swelling (inflammation). A variety of herbal medications are derived from different parts of the elder plant, for example the mucous lining of the inner nose and throat is toned by a remedy made from the flowering tops of the plant. This treatment leads to a better resistance from infection in these areas of the body. The herbal remedy made from the flowering tops of the plant are used in the treatment of disorders and complaints such as chronic congestion in the respiratory tract, they are used in the treatment of different types of allergies, they are used in the treatment of all kinds of ear infections, in the treatment of fungal diseases such as candidiasis and in the toning of mucous linings in the respiratory system. The flowering tops of the elder are also used in the preparation of herbal infusions along with other beneficial herbs; these combination treatments can reduce the severity of allergenic reactions during hay fever when they are taken as a precautionary measure some months prior to the onset of hay fever season during a year. The detoxification of the body is also achieved by taking the herbal remedies made from the flowering tops of the elder flowers, this remedy promotes perspiration and the production of urine in the affected individual, as a general remedy, the flowering tops of the elder aid the rapid elimination of metabolic waste products from the body - for this reason, arthritis patients often receive great benefits by taking the remedy. Some people put elder in the eyes for red eyes. In combination with gentian root, verbena, cowslip flower, and sorrel, elder is used for maintaining healthy sinuses and treating sinusitis. Rheumatism and erysipelas - a type of skin infection - is also normally treated using the vitamin C rich elder berries. The mildly laxative actions of the elderberries enable the body of the affected patients to overcome diarrhea and other stomach disorders. Disorders of the upper respiratory tract and various infections in the area leading to colds, problems such as tonsillitis, long term laryngitis and flu can be treated effectively by drinking a hot infusion of the elders. Elders will stimulate the circulatory system and induce perspiration in the individual and should be taken during the very first signs of malaise, physical aches, soreness in the throat, bodily chills, or the appearance of restlessness and fever. The remedy made from the elder will induce detoxification in the system and cleanse the body by rapid elimination of metabolic toxins out from the pores of the skin; the remedy resolves persistent fevers and infections in this manner and does so in a very rapid way. 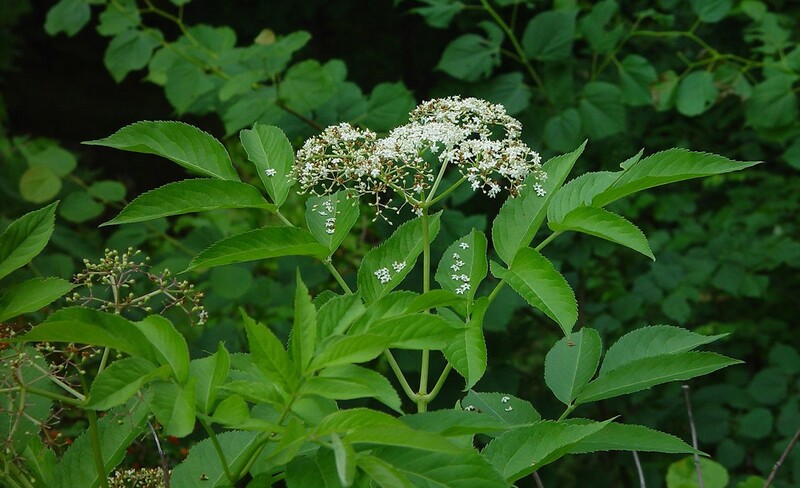 Elder infusion is also used for the treatment of any type of eruptive diseases caused by viruses including the measles and chickenpox, the herbal remedy induces rapid rash formation and increases the speed of recovery from the disease. When taken in the form of fresh infusion along with the infusion of the yarrow and the peppermint herb, the elders quickly reduce mucus formation and move phlegm out of the respiratory tract - thus, as a hot herbal infusion, they are strongly decongestant and are very good for the treatment of common colds, in the treatment of catarrh, in the treatment of sinusitis, and problems such as bronchial congestion, various types of chest infections and in the treatment of asthma - the remedy speeds up the rate of recovery from all these illnesses. Catarrh and bronchospasm are effectively relieved by the relaxing effect of the elders and the remedy is therefore ideal for asthma patients. Fluid retention in the body is also treatable using the elders which tend to promote the overall functional effectiveness of the kidneys and in this role, they can be seen as renal decongestants, which enable a quicker elimination and cleansing of all metabolic toxins in the body via the urinary system - they also transfer out excess heat in the renal system. Remedies made from the elders have also been utilized in the successful treatment of long term rheumatism, in the treatment of gout and in the treatment of arthritis. Traditionally, the relaxant quality of the elders has a very long history of use in the herbal lore, elder was used for soothing and relaxing frayed nerves, the remedy was given to nervous individuals to allay and beat anxiety and it was used as a general tonic for the treatment of depression in individuals. A soothing and very restful sleep can be induced in a person by making him or her drink a hot infusion during the night, this remedy is particularly very useful and beneficial in the treatment of restlessness or irritability in children during the earliest period of an apparent infection in the body. Topical remedies are also made using the elders, and the herbal infusion or ointment form of the elders can be applied to various cuts and wounds on the skin, it can be used in the treatment of chilblains, in healing skin eruptions and cracks, in healing sunburn, and to decrease the irritability in sensitive skin - the elders in ointment or infusion form can serve as a general herbal tonic for the affected individual. Fevers are often "broken" by inducing heavy sweating in the patient following a drink of herbal elder flower tea. Chills in a feverish person are particularly suited to being treated using the elder, in such treatments the herbal elder tea is drunk very hot and as soon immediately after it has been boiled. A sore throat is traditionally treated using a cup of cold elder infusion as a throat gargling solution. A mild diuretic action is also attributed to the flowers of the elder and the plant is used in this limited role as well. Diuretic as well as laxative abilities are also believed to be possessed by the juice of the elderberries - this juice is prepared by initially cooking the berries and then pressing the cooked berries to let out the juice. 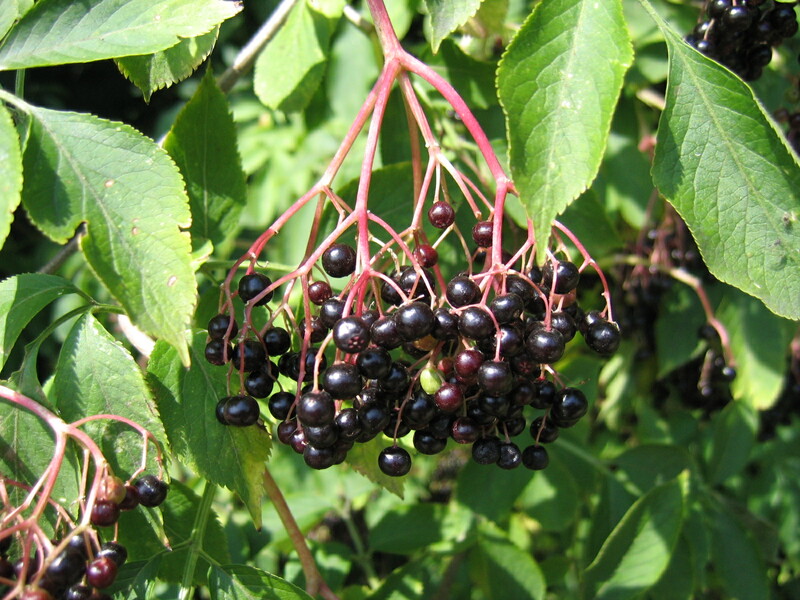 Traditional healers in Europe usually treated disorders such as sciatica and neuralgia by giving the elderberry juice to the affected patients. Elder flowers and the elder berry extracts are often included as ingredients in some kinds of multi ingredient herbal preparations for the treatment of rheumatic pain in Europe. In foods and beverages, elder is used as a flavoring component. In manufacturing, elder extracts are used in perfumes. Elder water is used in eye and skin lotions. Elder is likely safe when used in amounts found in foods. Elder is possibly safe for most people when used in small amounts as part of a combination product containing elder, sorrel, gentian root, verbena, and cowslip flower (SinuComp, Sinupret). There isn't enough information to know if elder is safe when used in medicinal amounts other than as part of the combination product. The combination product can cause digestive system upset and occasionally allergic skin rash. Elder is possibly unsafe when used in excessive amounts. Some parts of the elder plant contain a cyanide-producing chemical which can cause nausea, vomiting, and diarrhea. Cooking removes this chemical. Not enough is known about the safety of applying elder directly to the skin. Pregnancy and breast-feeding: There is not enough reliable information about the safety of taking elder if you are pregnant or breast-feeding. Stay on the safe side and avoid use. Diabetes: There is a concern that elder might lower blood sugar levels. If taken with diabetes medications, it might make blood sugar levels go too low. If you have diabetes and use elder, be sure to monitor your blood sugar levels carefully. Check with your healthcare provider to see if the dose of diabetes medications you are taking needs to be lowered. Surgery: Elder might lower blood sugar levels. There is some concern that it might interfere with blood sugar control during and after surgery. Stop using elder at least 2 weeks before a scheduled surgery.